Texture Tools set for use with Texture Paste. 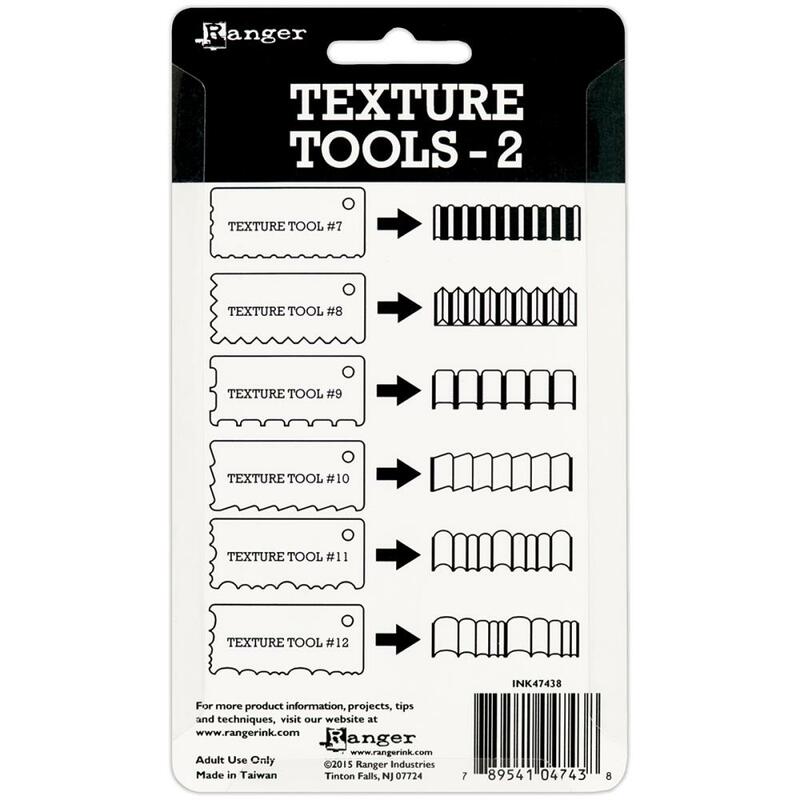 Each set includes 6 new designs made from durable, flexible plastic that can be used to create raised textured effects. For quick, easy, and unique designs, run Texture Tool through wet Texture Paste that has been applied to craft project. Allow the Paste to dry then colorize with paints, inks and other mediums. 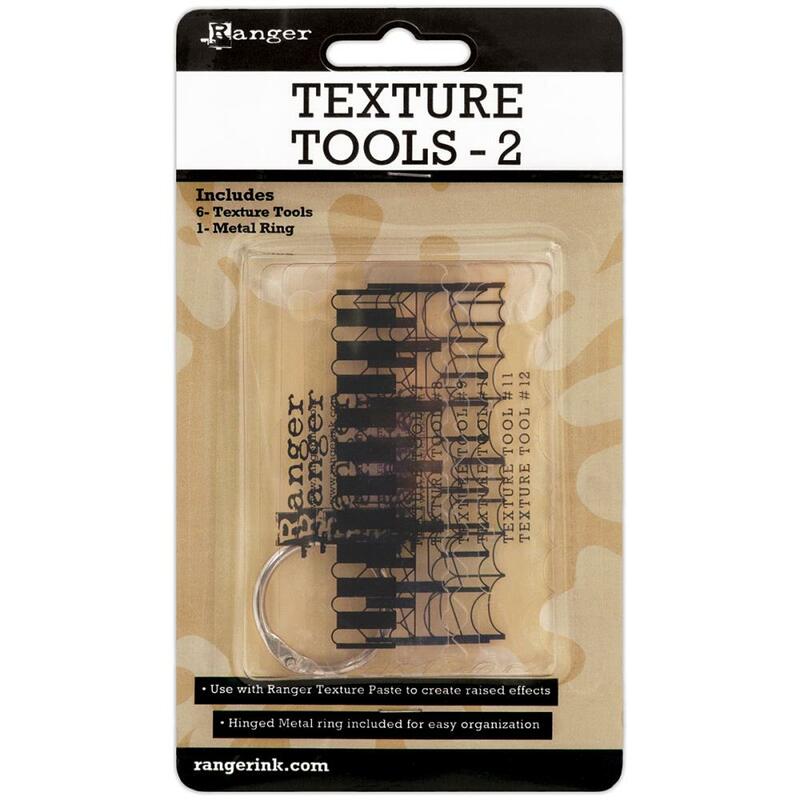 Each set includes a metal hinged ring for easy organization and convenient storage.